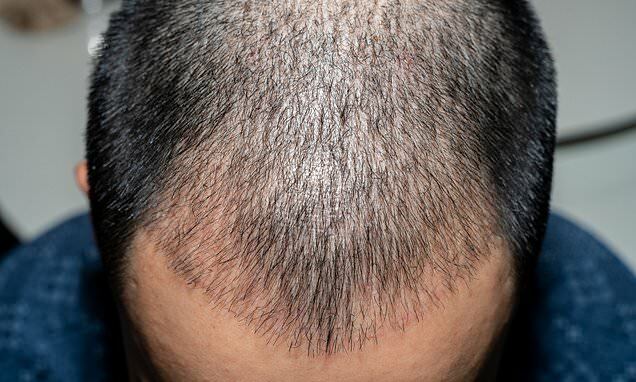 A couple of years on Finasteride and he may never have needed a transplant, just crazy. According to the doctors , “a severe allergic reaction - known as an anaphylactic shock - is the most likely explanation”, first time I heard of it. An anaphylactic reaction is possible, But I doubt it. Apparently he went in for one of those mega sessions. It is tragic. and a miracle that such events are not more common. @Dr_Woods apparently this is not the first time, in 2016 a medical student also died from a hair transplant in India. Removing 500 grafts (approx. 1000 hair) takes between 1.5 hours up till 5 hours in the most difficult repair cases with little left over donor and depending upon the complexity of the case, and there are countless variations and you have no idea until you are in there. We need the 35mls because we are not rushing this. Each graft is precious and irreplaceable and transection rates must be minimal as well as avoiding scalp shock. Machines, drills, etc. most often operated by itinerant inexperienced techs cause immense damage. When I hear of these opportunistic greedy immoral practices offering double, triple to quadruple, that makes my blood boil. They must be giving medically irresponsible amounts of drugs and anesthetic. And it all amounts to a poor result, also potentially placing the patient at risk. When we tried to repair, he watched and filmed every graft insertion. That said, my son, Michael Ray Woods is helping and placing grafts, under my supervision, and doing a great job. He has watched and learnt from me since childhood. And in a tough economy less expensive prices are offered…but every clinic on earth uses techs.,.I just have the best. For those who are aware of the dangers and risks, but cannot afford me to do the entire procedure, I am telling you, you are in safe hands. I began FUE , BHT etc. They have gone crazy…I am the “Dr Woodsenstein”….the monsters are let loose…they are throwing your follicles into the abyss , and if you are not careful, they will throw you into that abyss, spiritually and worst of all, physically. in 2016 a medical student also died from a hair transplant in India. 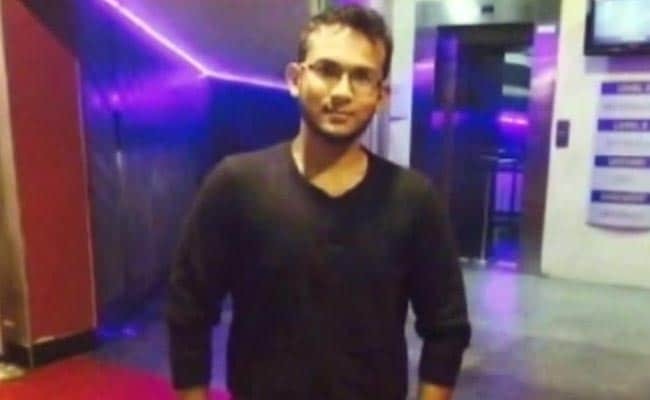 Yep, a 22 year old medical student in Chennai, he wasn’t even bald, very sad. A final year medical student in Chennai, 22-year-old Santosh was shy of his slight baldness and decided to go for a hair transplant procedure last month. But two days after the surgery, he was dead. Good post Dr. Woods. What you said makes sense, it was a 9000 grafts procedure, the doctor most likely went nuts with anesthetic that s what caused his death. Apparently he had symptoms at the 3000 mark, and died a day or so later. Dr. Woods , any chance the doctor never asked for blood work and properly screened the patient before agreeing to do 9000 grafts? The poor guy could have existing conditions that made him not suitable to go under the knife in the first place. BTW, do you ask your patients to submit blood work prior to the procedure? What do you look for in the blood work? Had you ever rejected a patient because of his blood exam results? History, past medical conditions, family history, examination, and careful observation. If doctors could predict, there wouldnt be hundreds of thousands droppimg dead suddenly from cardiac arrest every year. I do blood work when I suspect a problem or my gut tells me something is not right. Actually, the ability to listen to the patient is the most important asset a real doctor possesses. As you said, there are occult, mysterious disorders and diseases that arent medically detected whose symptoms patients complain about yet are turned away by doctors who erroneously chalk it up to the patient’s psychology. Of course med history, exams, etc are very important. But not listening to patients will lead you to miss important clues to effective treatment. If you refuse any patient who is suffering or in pain YOU are no doctor. Your posts are becoming more and more bizzare, Dr. Woods never said about turning away patients who are in pain, where did you get that from? Dude… STOP HARASSING ME!!! FOR THE LAST TIME… YOURE BOTHERING THE HELL OUT OF ME… I DONT KNOW YOU AND I DONT WANT TO KNOW YOU… RESPECT PEOPLE’S OPINIONS OR STOP COMING TO THE FORUM… STOP BOTHERING ME. IF YOU WANT TO TAKE THIS ANOTHER ROUTE LET ME KNOW. I’m reporting you up again. He needs specialist medical treatment or an ambulance. I admit I misinterpreted your comment. But saying that a comment is stupid outright shows how respectful you are as a doctor. A man died after a HT. That is what this is about,And my sincere condolence to his family. He had problems at the 3000 plus mark…the reason I have become involved is because I have never seen anywhere near that number create yield in a single session. The amount of adrenaline, even for 1000 grafts is pushing the dangerous point. I believe the numbers are bogus…and if anyone honestly tried anywhere near those numbers there would be many more deaths. I gave adrenaline to save her life and it worked instantly…but the adrenaline caused a heart beat irregularity so she spent several hours in hospital under observation until it settled. too much adrenaline is toxic and deadly…and if a doctor is running a production line, he walks out of the room…trying to deal with a heavily bleeding head the techs give dangerous amounts of adrenaline…luckily, I believe the numbers quoted are bogus. They are far far less. Otherwise deaths would be much more common. He was a fifth year medical student, you would have thought he was smarter than that, the clinic looks like a real dump and he likely did very little research. While death is a rare occurrence, being butchered is not, unfortunately for that young kid mentioned above, he paid the ultimate price for trying to save money.